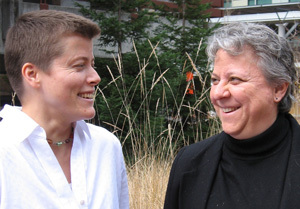 started by Jennifer Reardon, associate professor of sociology, and co-led by Karen Barad, professor of feminist studies, history of consciousness, and philosophy. In the spring of 2011, the University of California, Santa Cruz, launched a unique graduate-level training program funded by a $300,000 grant from the National Science Foundation to cross-train scientists and engineers in humanities and social sciences, and vice versa. Science and engineering students will work alongside social-science and humanities students to identify and respond when research requires attentiveness to questions of policy, ethics, and justice. Students can compete for two quarters of research funding through the newly established Science and Justice Fellows Program.